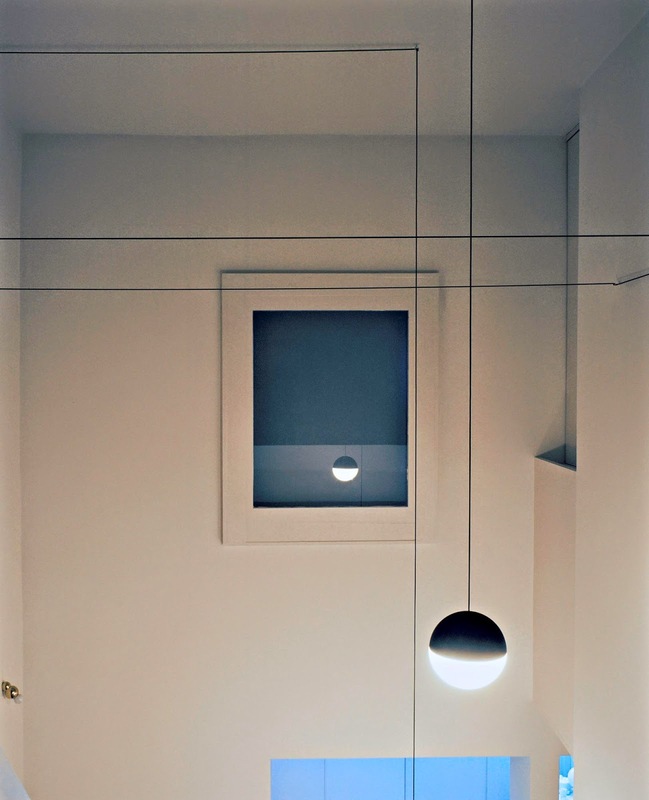 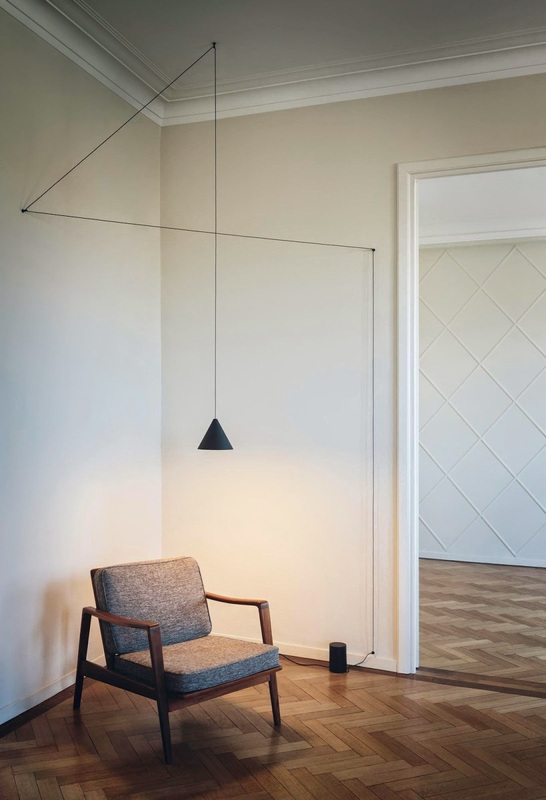 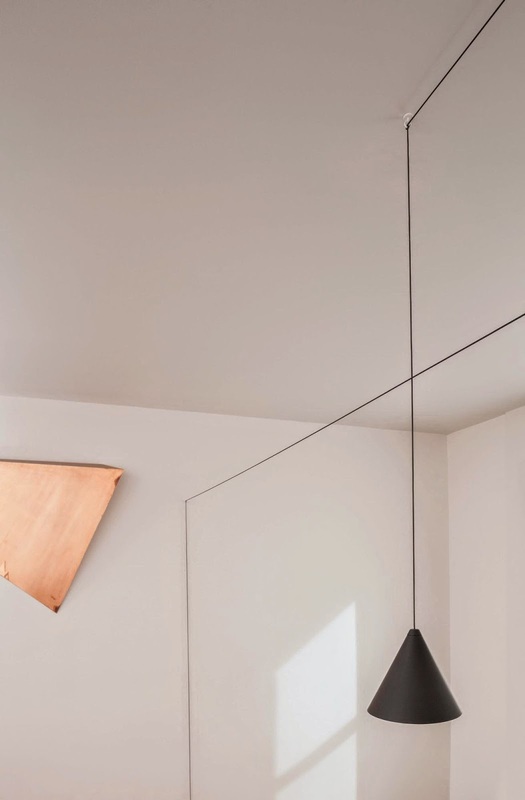 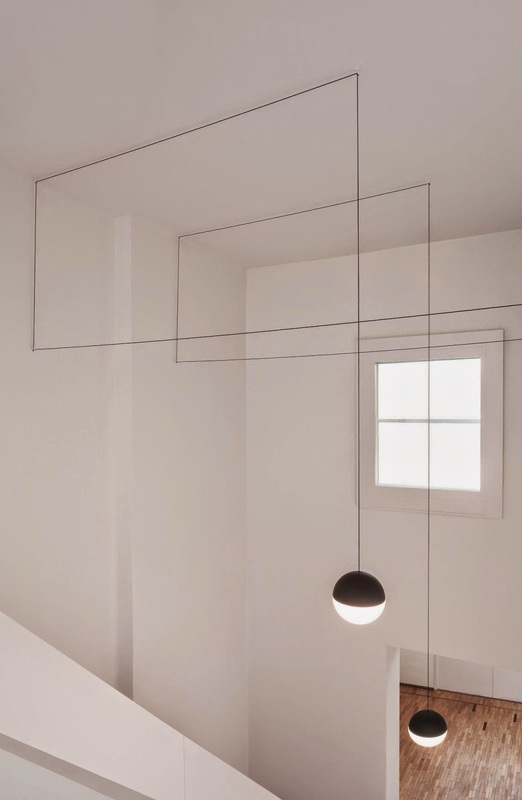 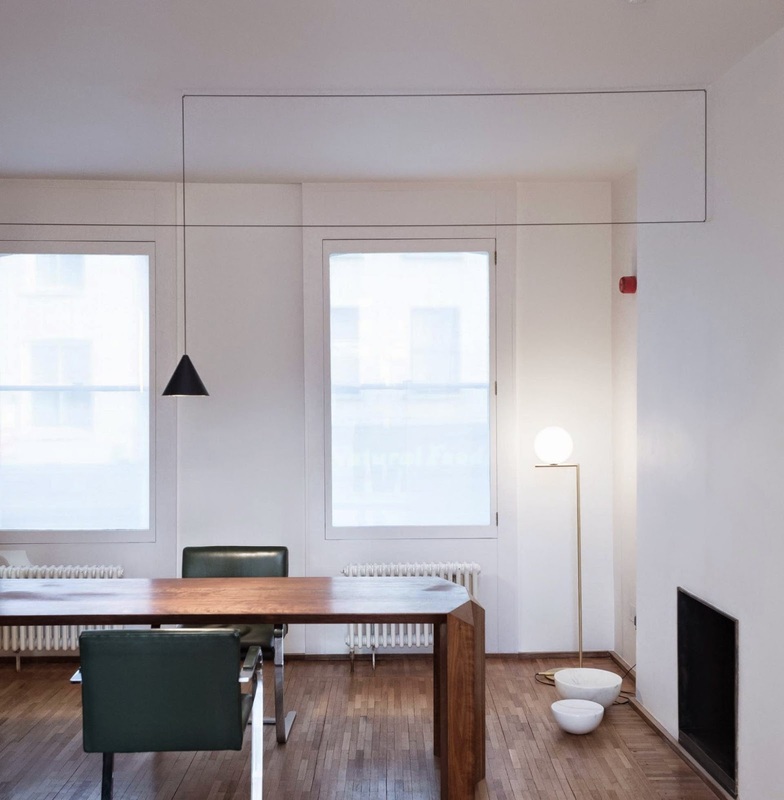 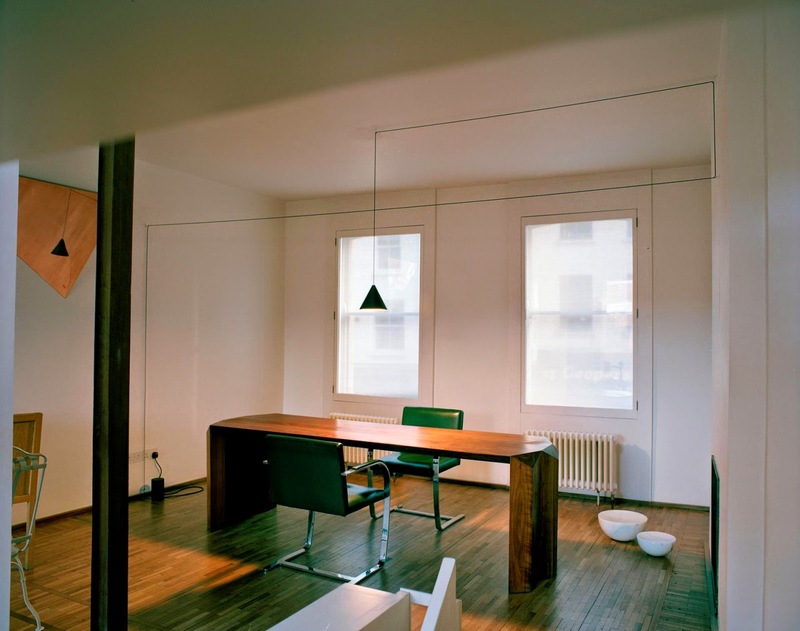 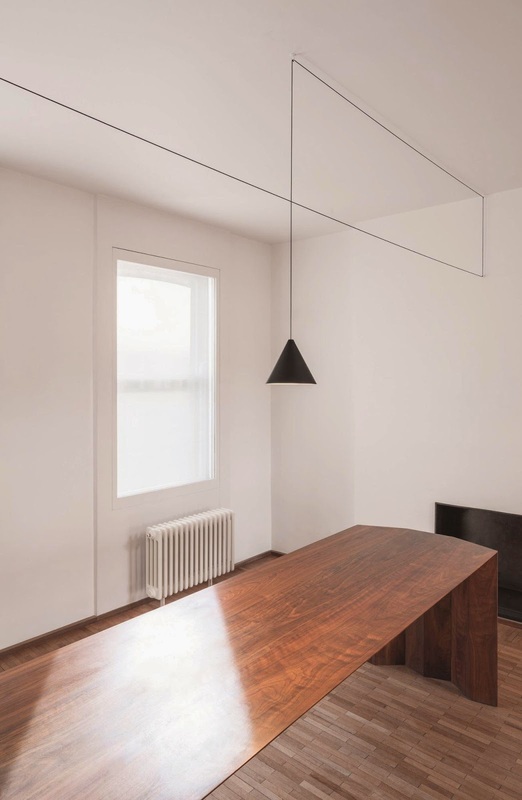 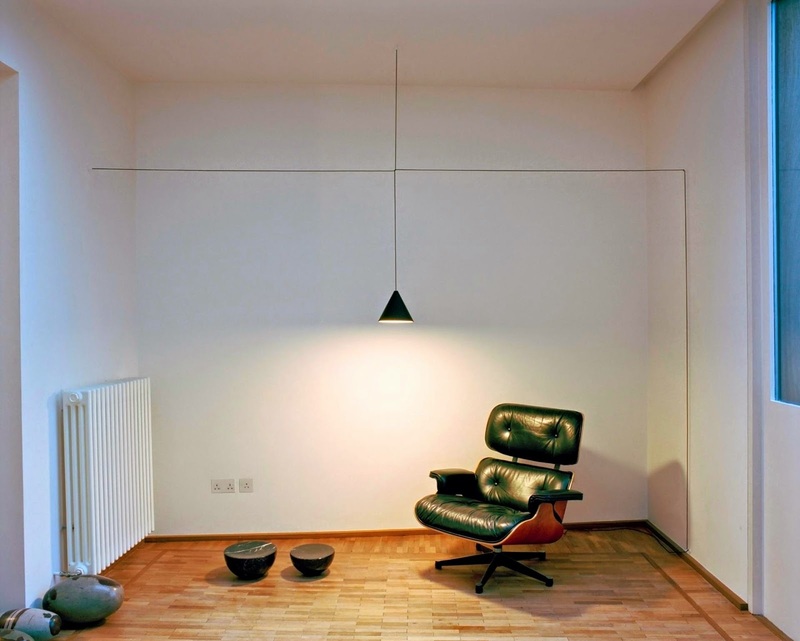 This is how Michael Anastassiades, a Cypriot designer based in London and born in 1967, describes the principle that inspired the String Lights ceiling lamp: a black electric wire that sets up a relationship with the architecture of a space, precisely becoming part of the lines formed by the walls of a room. 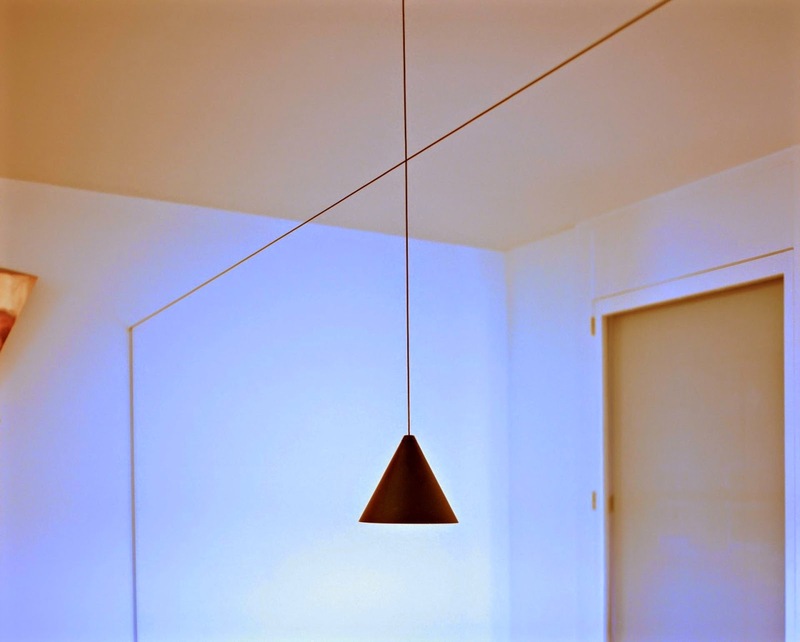 And stretched out along these lines are two different light sources: one in the shape of an isosceles triangle, the other in the form of a sphere. 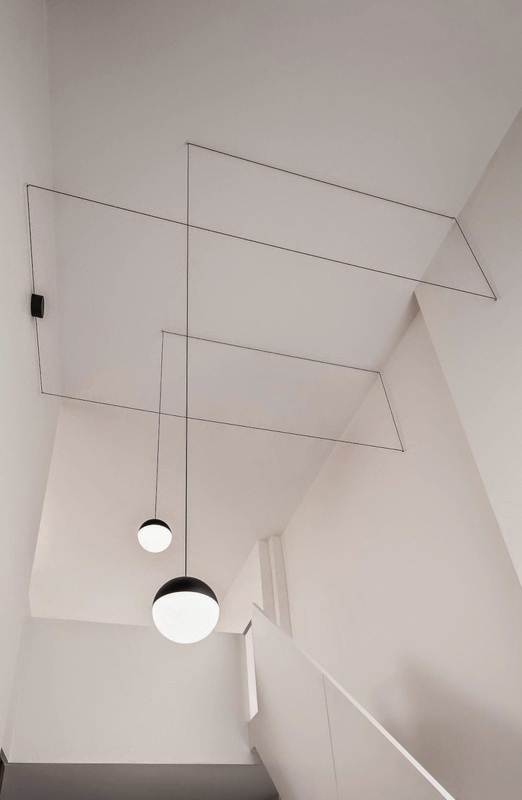 A system of tensors give volume and three-dimensionality to the form outlined by this lightweight cord that plays with space, while the two LED lamps emit a warm light. 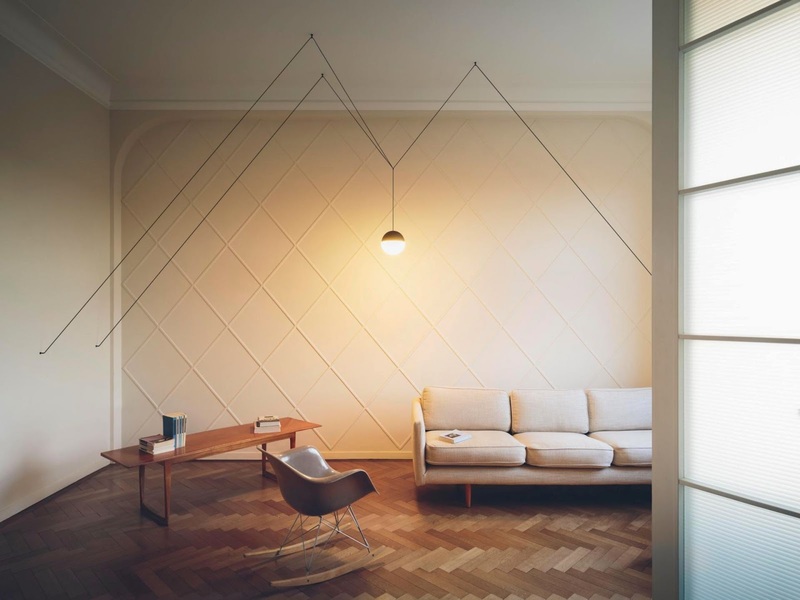 0 Respones to "String Lights"